I am in the process of another conversion. 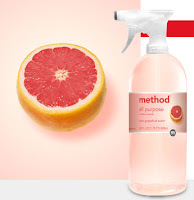 I am saying goodbye to the harsh chemicals that I cover my home in on a weekly basis, thanks to Method. Method is a brand of environmentally friendly cleaning products made of all natural, biodegradable ingredients. Not only are they eco-friendly, but they smell and look amazing. I love it when being a better steward of the environment is stylish too! 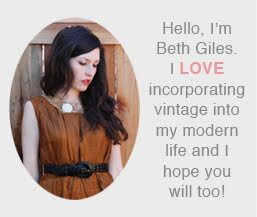 So far I have tried the All Purpose Grapefruit, Omop for wood floors, and Daily Shower. The last part of the process for me is to reorient my way of thinking about clean because I have always thought that something has to be drenched in a big, ugly chemical in order to be really clean. Method is teaching me that the sign of a clean house is the smell of grapefruits! Ooo, I almost forgot to mention the price. You won't believe that these products are no more expensive than their nasty chemical counterparts! Go Method!